The grizzled and weary Prince Wintron Dabe, longtime heir to the throne, inherits a kingdom on the same day that most of it falls under demonic invaders. Young Afral must face his heritage and his uncertain abilities. He flees those who want to capture him, while trying to reach a people who may reject him. The determined Mylana Farsight must lead other Watch Riders on a dangerous mission to warn the land’s long-hidden defenders. Dreadhounds pursue her, even as a traitor seeks to learn her secret. 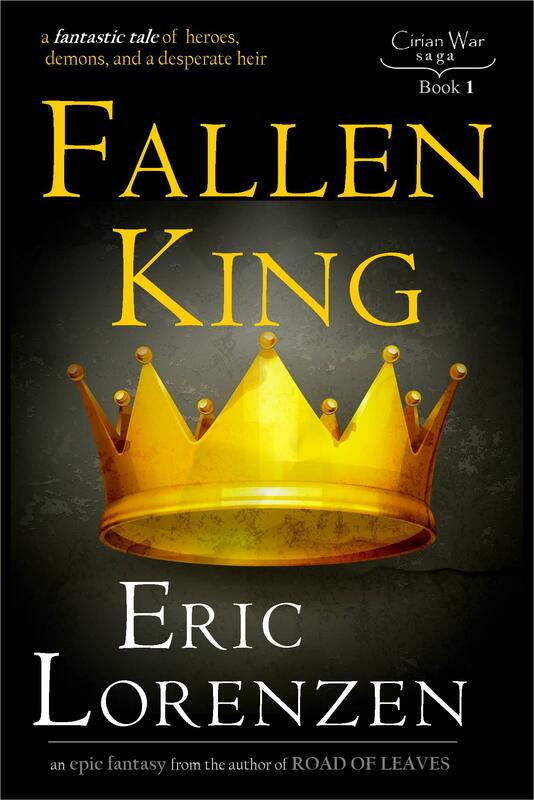 FALLEN KING, an epic fantasy by Eric Lorenzen. Content Advisory: This novel contains scenes of war violence, demonic possession, and human sacrifice. Available from Amazon and Barnes and Noble and other retailers. This website is provided by Reader Hill, a division of New Wind Business Solutions.